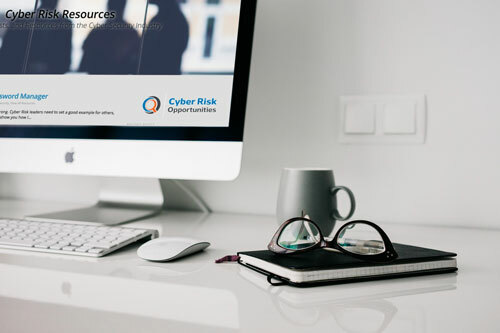 Cyber Risk Opportunities helps executives manage cybersecurity in the same intelligent and thoughtful way they manage other areas of their businesses, like sales, order fulfillment, and accounts receivable. Our Cyber Risk Managed Program is designed to be a holistic program customized to the individual needs of middle-market businesses. The data-driven approach is designed to establish priorities and to deliver objective business value in an iterative and collaborative way. 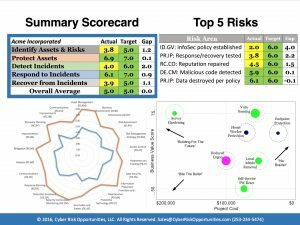 Progress toward continuously reducing cybersecurity risks is reported using a highly summarized, and very readable, scorecard. Executives can understand at a glance how their cybersecurity management program is performing. Your CRO Managed Program™ is data-driven program. Using nationally-recognized technical standards, the first phase of the managed program is developing your cybersecurity risk score. That begins by measuring your current cybersecurity procedures. Those scores are then compared to the goals set by your executives. Comparing your actual scores to your goals, we create a gap analysis. This risk ranked gap analysis forms the basis for the creation of your CRO Mitigation Plan™. 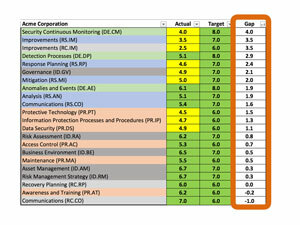 Using the risk rankings developed in the CRO Risk Score™, we help identify the steps/projects to mitigate your risks. Some of the steps in the plan may involve employee training, process and procedure development and/or may involve technology enhancements. Inevitably, the goal is to continuously move to a rational and effective process for mitigating your risks. But that rational process first involves understanding the business value derived from any potential mitigation project/initiative. The CRO Mitigation Plan™ will include a comprehensive set of projects/initiatives designed to mitigate risk, but where should you start? 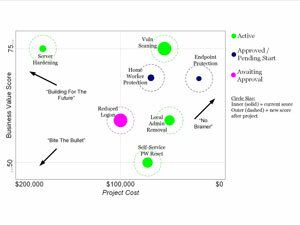 The answer is with the projects that close your most critical gaps but still deliver the most business value. That’s why before you begin to implement the CRO Mitigation Plan™, we help you identify the expected value of each project. Those with the highest payoff relative to investment will be implemented first. And then the next. And so on. That’s just smart business. 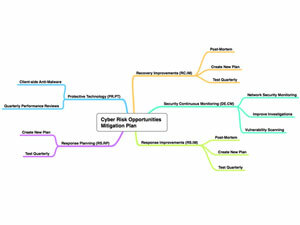 All of this is compiled, summarized and reported via the CRO Cybersecurity Scorecard™. 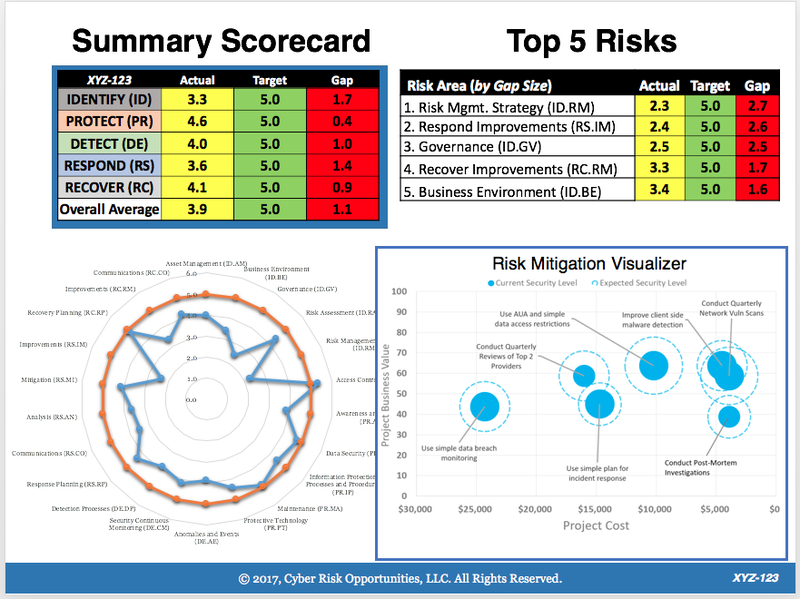 The CRO Cybersecurity Scorecard™ reports the summary of the gap analysis, a gap analysis visualizer, a ranking of your top risks and a project map representing your CRO Mitigation Plan™. At a glance, executives get a single view of the status of the cybersecurity management process. We believe the CRO Cybersecurity Scorecard™ is an invaluable management and communication tool for our customers. In order to focus on the highest priorities and to ensure the projects get accomplished, we work with management teams to establish CRO Cybersecurity Sprints™. 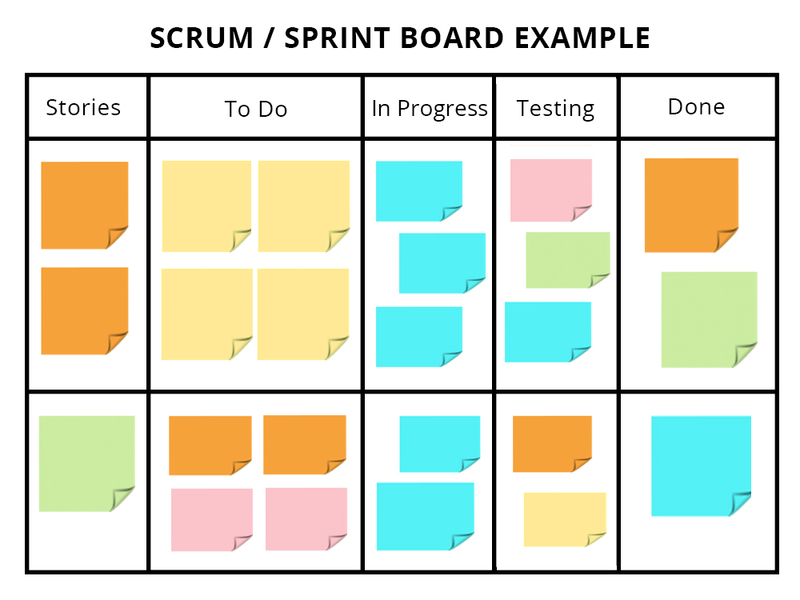 Sprints are a component of Agile, an iterative development process whereby requirements and solutions evolve through collaboration between self-organizing cross-functional teams. The CRO innovation is to apply this collaborative and iterative process to help drive management decision making and ensuring the top priorities are tackled first.